St. John’s Baptist church has historic roots in Virginia Beach, established over many centuries. Generations of congregations have worshipped and praised the Word of God over the years. From a small congregation of only 22 members to a large and thriving Baptist church today with tremendous community involvement, St. John’s has stood the test of time, endured struggles, experienced periods of growth, and continues to flourish at a rapid pace in the city of Virginia Beach. In 1853, the need was recognized for a church in the Courthouse area of Princess Anne County, and 22 members from London Bridge Baptist Church were tasked with creating a new congregation. Organized on October 16, 1853, they proceeded to construct a building which was completed in 1854. During the trying times of the Civil War, the church was almost dissolved. However, in July of 1869, with the help of the Princess Anne Union, interest was revived. While these were difficult years, the church overcame many obstacles but eventually recovered. Throughout this time, St. John’s maintained a close relationship with London Bridge Baptist Church, the original church. From 1890-1943, the pastors of London Bridge, Oak Grove, Creeds and Centerville churches shared preaching responsibilities and helped keep the church alive. In 1943, under the leadership of Dr. Walter Meade, morning worship, sunday school, and evening worship were held on a regular basis. The church grew at a steady but slow pace throughout the ensuing years as different pastors filled the pulpit and ministered to the congregation. Two additional structures were added in the 1950s: the south wing in 1952 and the north wing in 1956. The first phase of the educational building was constructed in 1968. In 1973, the church called Rev. Dorsel Moyers as its Pastor. Under his leadership, many new programs were implemented, and the church flourished. The surrounding area began to change, as the old Princess Anne County became the new City of Virginia Beach. New housing sub-divisions were constructed, shopping centers were added, and community leaders created businesses and roads. With the bustling new economy, more people began filtering into the Princess Anne area, and soon Holland Road became a major growth corridor for the city. Upon Rev. Moyer’s retirement, the church, led by Rev. Hank Brooks, continued to prosper and grow. By 1995, two acres behind the church were purchased, and was ground cleared for the construction of an addition to the education building. A master plan was adopted and approved by the city, and plans were developed for a future sanctuary. In 1999, St. John’s Baptist Church was recognized as the “Church of the Year” by the Norfolk Baptist Association. In 2003, the church celebrated its 150th anniversary, and the sanctuary was placed on the Virginia Beach Registry of Historic Buildings. As growth continued, the church began to prepare for a new sanctuary building. New Pastor Dr. James R. (Bob) Pipkin and his family were welcomed to the church. A groundbreaking service was held in September of 2008, and construction began. On October 4, 2009, the church dedicated its new sanctuary building, housing a worship center, parlor, library, administrative area, and welcome center. After serving the church for five years, Pastor Bob Pipkin resigned, and the church called Dr. W. Chreston Holoman as Interim Pastor. An experienced leader, Dr. Holoman provided guidance and ministry for the congregation of St. John’s. On October 5, 2014 Pastor Chuck Haley was welcomed. As the pastor, he brought vitality to the church as it sought to serve the needs of a growing community together. Rev. Haley resigned in early March 2017, and the pulpit was filled for a short period of time by various qualified men of the church. In early July 2017, Rev. Charlie Brown was called to be Interim Pastor at St. John’s, where he currently serves as the Pastor. St. John’s continues to be active in the work of the denomination through the associational Bridge Network of Churches, the Virginia Baptist General Association, and the Southern Baptist Convention. Not only is it a strong supporter of local missions, it also supports those of state, national, and international stature. It continues to be a place of ministry and service to the surrounding community, the state, and the world, with an appreciation of its heritage and anticipation of its future. Charlie Brown was born and raised in Dallas. He is a graduate of Mesquite High School, Texas A&M Commerce and Southwestern Baptist Theological Seminary. Following seminary graduation, Charlie and his family moved to Seattle, Washington where he served 5 years as the Director of the Baptist Student Ministries at the University of Washington. Feeling a call to missions internationally, Charlie and his wife Glenda were commissioned by the Foreign Mission Board of the Southern Baptist Convention as missionaries and were assigned as student workers in Innsbruck, Austria. Upon returning to the states, Charlie served as a chaplain at Children’s Medical Center in Dallas. 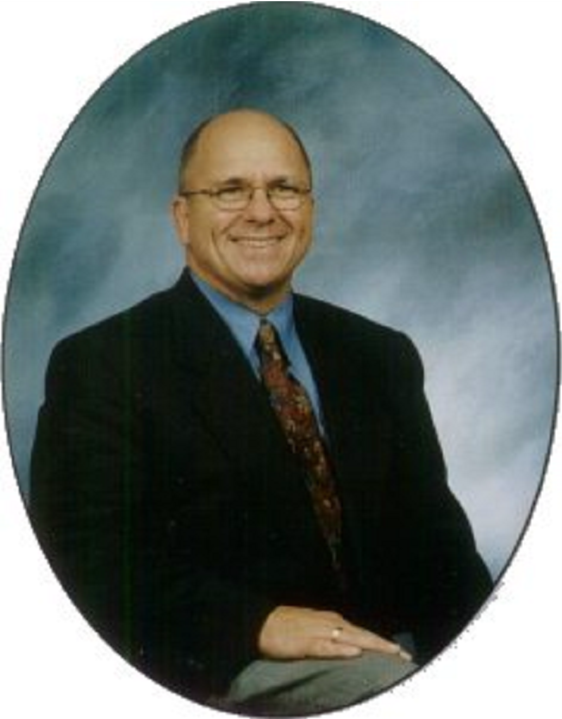 In November 1996, he became the founding pastor of The Crossing Baptist Church in Mesquite, Texas. During his tenure, The Crossing evolved from an all Anglo church to a multi-ethnic congregation. Today the congregation is comprised of 10 different countries and has ministered to people from over 16 countries. Charlie and Glenda have been married 45 years. They have 3 sons and daughters-in-law and 7 grandsons and 1 granddaughter. Their children live in Los Angeles, California, Denton, Texas and Chesapeake, Virginia. Charlie and Glenda have recently transplanted themselves to the Virginia/North Carolina area to be closer to their oldest son and family. They enjoy RVing, visiting family, building bridges cross-culturally, and engaging with the people of God’s Kingdom. Kristen brings to church a love for all people, especially children and youth. Her love for children and youth is evident through every interaction and event. She is passionate about seeing the youth and children’s ministries grow in number as well as depth of Scriptural knowledge and love for the Lord. 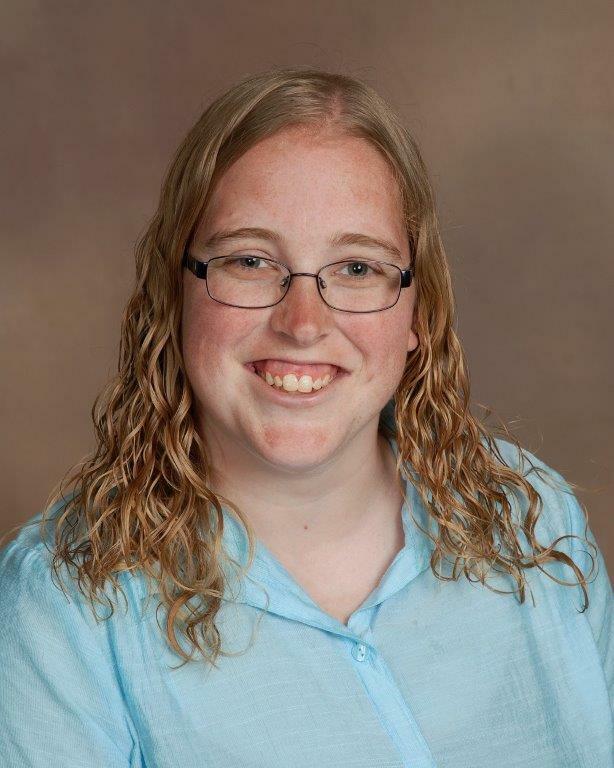 Kristen received her Bachelor’s in Religious Studies from Virginia Wesleyan College and her Master’s of Divinity with a specialization in Christian Education from the Baptist Theological Seminary at Richmond. Kristen’s vision for the Student Ministry is “Seek God. Reach Out. Teach Others.” In everything the students do, seek God first and then reach out and teach others. This will ultimately help us to grow the Kingdom of God and help to fulfill the church’s vision. ARTICLES OF FAITH – As adopted by the Southern Baptist Convention, May 9, 1963. Christ is the eternal Son of God. In His incarnation as Jesus Christ he was conceived of the Holy Spirit and born of the virgin Mary. Jesus perfectly revealed and did the will of God, taking upon Himself the demands and necessities of human nature and identifying Himself completely with mankind yet without sin. He honored the divine law by His personal obedience, and in His death on the cross He made provision for the redemption of men from sin. He was raised from the dead with a glorified body and appeared to His disciples as the person who was with them before His crucifixion. He ascended into heaven and is now exalted at the right hand of God where He is the One Mediator, partaking of the nature of God and of man and, in whose Person is effected the reconciliation between God and man. He will return in power and glory to judge the world and to consummate His redemptive mission. He now dwells in all believers as the living and ever present Lord. Genesis 18:1ff. ; Psalms 2:7ff. ; 110:1ff. ; Isaiah 7:14; 53; Matthew 1:18-23; 3:17; 8:29; 11:27; 14:33; 16:16,27; 17:5; 27; 28:1-6,19; Mark 1:1; 3:11; Luke 1:35; 4:41; 22:70; 24:46; John 1:1-18,29; 10:30,38; 11:25-27; 12:44-50; 14:7-11; 16:15-16,28; 17:1-5, 21-22; 20:1-20,28; Acts 1:9; 2:22-24; 7:55-56; 9:4-5,20; Romans 1:3-4; 3:23-26; 5:6-21; 8:1-3,34; 10:4; 1 Corinthians 1:30; 2:2; 8:6; 15:1-8,24-28; 2 Corinthians 5:19-21; Galatians 4:4-5; Ephesians 1:20; 3:11; 4:7-10; Philippians 2:5-11; Colossians 1:13-22; 2:9; 1 Thessalonians 4:14-18; 1 Timothy 2:5-6; 3:16; Titus 2:13-14; Hebrews 1:1-3; 4:14-15; 7:14-28; 9:12-15,24-28; 12:2; 13:8; 1 Peter 2:21-25; 3:22; 1 John 1:7-9; 3:2; 4:14-15; 5:9; 2 John 7-9; Revelation 1:13-16; 5:9-14; 12:10-11; 13:8; 19:16. The Holy Spirit is the Spirit of God. He inspired holy men of old to write the Scriptures. Through illumination He enables men to understand truth. He exalts Christ. He convicts men of sin, of righteousness, and of judgment. He calls men to the Saviour, and effects regeneration. He cultivates Christian character, comforts believers, and bestows the spiritual gifts by which they serve God through His church. He seals the believer unto the day of final redemption. His presence in the Christian is the assurance of God to bring the believer into the fullness of the stature of Christ. He enlightens and empowers the believer and the church in worship, evangelism, and service. Genesis 1:2; Judges 14:6; Job 26:13; Psalms 51:11; 139:7ff. ; Isaiah 61:1-3; Joel 2:28-32; Matthew 1:18; 3:16; 4:1; 12:28-32; 28:19; Mark 1:10,12; Luke 1:35; 4:1,18-19; 11:13; 12:12; 24:49; John 4:24; 14:16-17,26; 15:26; 16:7-14; Acts 1:8; 2:1-4,38; 4:31; 5:3; 6:3; 7:55; 8:17,39; 10:44; 13:2; 15:28; 16:6; 19:1-6; Romans 8:9-11,14-16,26-27; 1 Corinthians 2:10-14; 3:16; 12:3-11; Galatians 4:6; Ephesians 1:13-14; 4:30; 5:18; 1 Thessalonians 5:19; 1 Timothy 3:16; 4:1; 2 Timothy 1:14; 3:16; Hebrews 9:8,14; 2 Peter 1:21; 1 John 4:13; 5:6-7; Revelation 1:10; 22:17. Man was created by the special act of God, in His own image, and is the crowning work of His creation. In the beginning man was innocent of sin and was endowed by his Creator with freedom of choice. By his free choice man sinned against God and brought sin into the human race. Through the temptation of Satan man transgressed the command of God, and fell from his original innocence; whereby his posterity inherit a nature and an environment inclined toward sin, and as soon as they are capable of moral action become transgressors and are under condemnation. Only the grace of God can bring man into His holy fellowship and enable man to fulfill the creative purpose of God. The sacredness of human personality is evident in that God created man in His own image, and in that Christ died for man; therefore, every man of every race possesses full dignity and is worthy of respect and Christian love. Repentance and faith are inseparable experiences of grace. Repentance is a genuine turning from sin toward God. Faith is the acceptance of Jesus Christ and commitment of the entire personality to Him as Lord and Saviour. Justification is God’s gracious and full acquittal upon principles of His righteousness of all sinners who repent and believe in Christ. Justification brings the believer unto a relationship of peace and favor with God. Election is the gracious purpose of God, according to which He regenerates, sanctifies, and glorifies sinners. It is consistent with the free agency of man, and comprehends all the means in connection with the end. It is the glorious display of God’s sovereign goodness, and is infinitely wise, holy, and unchangeable. It excludes boasting and promotes humility. Genesis 12:1-3; Exodus 19:5-8; 1 Samuel 8:4-7,19-22; Isaiah 5:1-7; Jeremiah 31:31ff. ; Matthew 16:18-19; 21:28-45; 24:22,31; 25:34; Luke 1:68-79; 2:29-32; 19:41-44; 24:44-48; John 1:12-14; 3:16; 5:24; 6:44-45,65; 10:27-29; 15:16; 17:6,12,17-18; Acts 20:32; Romans 5:9-10; 8:28-39; 10:12-15; 11:5-7,26-36; 1 Corinthians 1:1-2; 15:24-28; Ephesians 1:4-23; 2:1-10; 3:1-11; Colossians 1:12-14; 2 Thessalonians 2:13-14; 2 Timothy 1:12; 2:10,19; Hebrews 11:39–12:2;1 Peter 1:2-5,13; 2:4-10; 1 John 1:7-9; 2:19; 3:2. The first day of the week is the Lord’s Day. It is a Christian institution for regular observance. It commemorates the resurrection of Christ from the dead and should be employed in exercises of worship and spiritual devotion, both public and private, and by refraining from worldly amusements, and resting from secular employments, work of necessity and mercy only being expected. Exodus 20:8-11; Matthew 12:1-12; 28:1ff. ; Mark 2:27-28; 16:1-7; Luke 24:1-3,33-36; John 4:21-24; 20:1,19-28; Acts 20:7; 1 Corinthians 16:1-2; Colossians 2:16; 3:16; Revelation 1:10. Isaiah 2:4; 11:9; Matthew 16:27; 18:8-9; 19:28; 24:27,30,36,44; 25:31-46; 26:64; Mark 8:38; 9:43-48; Luke 12:40,48; 16:19-26; 17:22-37; 21:27-28; John 14:1-3; Acts 1:11; 17:31; Romans 14:10; 1 Corinthians 4:5; 15:24-28,35-58; 2 Corinthians 5:10; Philippians 3:20-21; Colossians 1:5; 3:4; 1 Thessalonians 4:14-18; 5:1ff. ; 2 Thessalonians 1:7ff. ; 2; 1 Timothy 6:14; 2 Timothy 4:1,8; Titus 2:13; Hebrews 9:27-28; James 5:8; 2 Peter 3:7ff. ; 1 John 2:28; 3:2; Jude 14; Revelation 1:18; 3:11; 20:1 to 22:13. It is the duty and privilege of every follower of Christ and of every church of the Lord Jesus Christ to endeavor to make disciples of all nations. The new birth of man’s spirit by God’s Holy Spirit means the birth of love for others. Missionary effort on the part of all rests thus upon a spiritual necessity of the regenerate life, and is expressly and repeatedly commanded in the teachings of Christ. It is the duty of every child of God to seek constantly to win the lost to Christ by personal effort, and by all other methods in harmony with the gospel of Christ. Genesis 12:1-3; Exodus 19:5-6; Isaiah 6:1-8; Matthew 9:37-38; 10:5-15; 13:18-30, 37-43; 16:19; 22:9-10; 24:14; 28:18-20; Luke 10:1-18; 24:46-53; John 14:11-12; 15:7-8,16; 17:15; 20:21; Acts 1:8; 2; 8:26-40; 10:42-48; 13:2-3; Romans 10:13-15; Ephesians 3:1-11; 1 Thessalonians 1:8; 2 Timothy 4:5; Hebrews 2:1-3; 11:39 to 12:2; 1 Peter 2:4-10; Revelation 22:17. The cause of education in the Kingdom of Christ is co-ordinate with the causes of missions and general benevolence, and should receive along with these the liberal support of the churches. An adequate system of Christian education is necessary to a complete spiritual program for Christ’s people. God is the source of all blessings, temporal and spiritual; all that we have and are we owe to Him. Christians have a spiritual debtorship to the whole world, a holy trusteeship in the gospel, and a binding stewardship in their possessions. They are therefore under obligation to serve Him with their time, talents, and material possessions; and should recognize all these as entrusted to them to use for the glory of God and for helping others. According to the Scriptures, Christians should contribute for their mean cheerfully, regularly, systematically, proportionately, and liberally for the advancement of the Redeemer’s cause on earth. Every Christian is under obligation to seek to make the will of Christ supreme in his own life and in human society. Means and methods used for the improvement of society and the establishment of righteousness among men can be truly and permanently helpful only when they are rooted in the regeneration of the individual by the saving grace of God in Jesus Christ. The Christian should oppose in the spirit of Christ, every form of greed, selfishness, and vice. He should work to provide for the orphaned, the needy, the abused, the aged, the helpless, and the sick. Every Christian should seek to bring industry, government, and society as a whole under the sway of the principles of righteousness, truth, and brotherly love. In order to promote these ends Christians should be ready to work with all men of good will in any good cause, always being careful to act in the spirit of love without compromising their loyalty to Christ and His truth. Exodus 20:3-17; Leviticus 6:2-5; Deuteronomy 10:12; 27:17; Psalm 101:5; Micah 6:8; Zechariah 8:16; Matthew 5:13-16,43-48; 22:36-40; 25:35; Mark 1:29-34; 2:3ff. ; 10:21; Luke 4:18-21; 10:27-37; 20:25; John 15:12; 17:15; Romans 12–14; 1Corinthians 5:9-10; 6:1-7; 7:20-24; 10:23 to 11:1; Galatians 3:26-28; Ephesians 6:5-9; Colossians 3:12-17; 1 Thessalonians 3:12; Philemon; James 1:27; 2:8. God wonderfully and immutably creates each person as male or female. These two distinct, complementary genders together reflect the image and nature of God.